At the end of October, we asked for your questions about any of the Mario games that MEGAß¥TE and David Dayton played at E for All. Those questions lead off this mailbag. if you could choose any Mario/Wario/DK tune that could be remixed and orchestrated for Brawl what would you choose or not choose? MEGAß¥TE: The overworld theme from Super Mario Land... or perhaps a mix of the entire soundtrack. Suffix: For Brawl, I'd go with "Koopa's Road" (areas leading up to a fight with Bowser) plus the music for Bowser in the Sky, both from Super Mario 64. Those two would make a nice, exciting remix. I'd love to hear Dire, Dire Docks rearranged and orchestrated, but that's pretty calm to be a track for SSBB battles. DavidDayton: The "Near Final Battle" theme from the Game Boy Donkey Kong (aka "Donkey Kong '94"). It's the tune that plays in the last standard Donkey Kong boss battle (not the "giant DK" battle) and features some nice GB electric guitar. Sapphira: The "Yoshi's Island" theme would be pretty sweet, particularly if it were based on the "Yoshi's Village" rendition in Paper Mario. The Hammer Bros. battle music from SMB3 would be awesome, too. Deezer: Since Suffix already said Dire, Dire Docks, I'll go with the SMB underground theme. Once the Smash Bros. DOJO! unveiled a rearrangement of Mario's moves, I began to worry a bit. Mario is my best character in Super Smash Bros., and I have a few strategies with Mario Tornado. Now that you guys have had the chance to play the game I must ask: how does the Mario Tornado work now? Does it replace the 'spinning drill' attack (down A in midair)? Is it only a midair based attack (as all videos and screens have shown it so far) or can I still utilize my ground-based tactics? Any info you have will be greatly appreciated! DavidDayton: As best as I can remember, it works perfectly well if you are in the air -- D+B on land seems to just pull out FLUDD. I can't recall exactly how it works at the moment beyond that. So, I heard you lucky guys went to E for All, and I've got some questions about SSB Brawl. 1. I'm a major Melee player. Is this game far different from Melee, or will it be easy for me to play? 2. I hate pointing with the Wiimote for... personal reasons. Is there a lot of pointing in the game? 3. For King Dedede, does he have his lame Kirby cartoon voice? MEGAß¥TE: 1. The game plays much like Melee, but perhaps faster. The game balance is a little different due to all of the new items. Also, your ability to play the game will be affected by which control scheme you choose, but if you plug in a GameCube controller (which I recommend), it shouldn't be too far from the Melee you're familiar with. 2. There is no pointing. 3. King Dedede wasn't even announced until after E for All, so he wasn't playable. However, Meta Knight's voice was much more ominous than the one used in the cartoon. DavidDayton: 1. As long as you don't use the Wii Remote by itself, you should be fine... I found myself doing fairly well with the Classic Controller after the first few matches. 2. While I'm assuming the menus will allow pointing, there is none in the game. 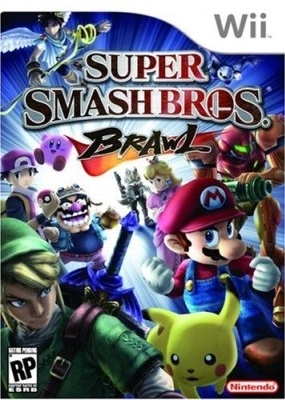 Do you know what the Super Smash Bros. Brawl Game Cover (Case) looks like? Who do you like better: Mario or Sonic? ...and why? This question could spark some discussion and/or samurai sword duels. * Have fun! *I am not responsible for any death or dismemberment brought on by my question. MEGAß¥TE: What is this, 1991? Mario, of course. I will simply insist that his demeanor is more pleasant and/or amusing. He's also an all around great guy with one pupil per eyeball. And he has two eyeballs, at that. DavidDayton: Well, Sonic did make for a fine punching bag in Brawl... but we can all agree that Sonic is better than Shadow. Hello. Congratulations to all the staff on the site's expansion since my last visit. I should just get on with the numbered comments. 1-Did any of you find Paper Mario 2 dull compared to its predecessor? I just can't get through it. 3-Can I get musical lessons Lizard Dude? Or his talent for playing Nintendo tunes too inborn to teach? 4-Green Day completely sold out about two years ago. Sorry for going off on a tangent, but since I cheerily declared how I was singing along to a Green Day song in an old mailbag, I feel I should now give you my current (more negative, but also more objective) appraisal of the band. 5-Why all the fascination with Birdo's uncertain gender and/or orientation? Can't we all just get along? Thank you for your time. Suffix: 1. I loved Paper Mario 2! Even running around from location to location didn't seem terribly dull to me. I'm afraid I can't make that great of a comparison between the two games, but I enjoyed TTYD thoroughly. 5. I agree! Thank you for taking my time. DavidDayton: 1. I rather enjoyed it. 3. I have a kazoo. Why doesn't anyone ever ask ME for that? 4. Gilbert & Sullivan were better. 5. People don't understand how bad translations and inside jokes work. Sapphira: 1) I loved both games. I'm still not sure which I like better, but there are different aspects I like better in each game. 5) I like to think there are different Birdos, considering contradicting information among different games. I found out this glitch while playing around in [Super Mario Sunshine] looking for glitches. It involves the cannon on the theme park level (I don't remember what it's called). I've attached a WMV of the glitch. Suffix: Heh, that was pretty funny, especially the end of the video. Examining the interior of the Pianta's model was rather... disturbing, however. DavidDayton: WMV files make me cry... well, not really, but you get my point. First of all best video game site out there. 1.) Now, Mario hasn't gone through much of an appearance change lately. Do you think it's time for an update?? 2.) would you be open to a live action Mario movie if it were done tight? I really like Bob Hoskins in it but I guess he didn't! Suffix: 1) No, I don't really think so. You see, it's not necessary to drastically redesign Mario. The only reason I can think of doing so is to draw in new players, and Mario doesn't need any help with that. In fact, it would drive away more old players than anything. Still, if you haven't noticed, Mario is changing. With just about every game, his shape and texture changes slightly. Or so I think. 2) I don't think live action would ever work for Mario. He just doesn't look enough like a regular human. A well-done CG movie might fit the bill if a movie must be made. DavidDayton: No changes for the moment, please... that includes any live action films. Sapphira: 1.) No. That's what his various abilities that change his outfit are for. BEE SUIT. MEGAß¥TE: Well, there's your problem right there. Prima's guides are not "official enough" and contain many errors. Suffix: Sure, it's the Official Strategy Guide... of Prima. It's probably their only strategy guide for the game, am-I-right? DavidDayton: Aside from the Prima part, I wouldn't really think that ANY English guide to a NCL game would be suitable when it came to arguing about pendantically minor points. The Original paper mario for the 64 was at first announced as Super Mario RPG: 2. And in the beginning the screenshots looked alot like SMRPG: 1 But then It changed when Square/Enix backed out away from nintendo. So We ended up with Paper Mario 64 nintendo's sole take on The RPG format for Mario. And don't get me wrong Paper Mario and Paper Mario TTYD were awesome games with great RPG quality. But it didnt get close to reaching the aura that SMRPG presented. And now Square and Nintendo are working together again and Nintendo Releases Super Paper Mario for the wii, They keep the Paper Mario graphics and quirkiness we are acustomed to at this point but they drop the RPG part (still a great game i must say). Here is My thought: there is alot of rumors going around about a SMRPG Remake and/or a Super Mario RPG Sequal, A True Sequal. Do you think the real reason Super Paper Mario dropped the RPG part out is because Nintendo is secretly working on putting out a Real Super Mario RPG Sequal with Square and they didnt want to make Super Paper Mario an RPG because they were afraid it would take away from the Nintendo/Square Mario RPG when it comes out? I hope i havent confused anyone with this question I just wanted your input because I just have this feeling that Nintendo and Square have something in the works and it would make sense that Super Paper Mario dropped the RPG part if they wanted to make a big Nintendo/Square True Super Mario RPG Remake or Sequal. Please even if you don't post this on the mailbag page i would love your thoughts. 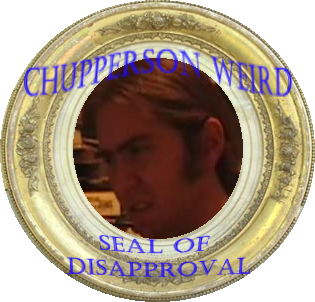 DavidDayton: The Paper Mario games are better than Super Mario RPG. Nintendo doesn't need Square Enix. Suffix: Gasp! What kind of a squall are you trying to create? Fanpeople aside, I have it from a very educated and reliable source (aka a WSU senior that lives next door to me) that Paper Mario is actually better than SMRPG. Paper Mario is still not exactly the same game style, though, so there's clearly room for people to appreciate different aspects of the two games more. Sapphira: Meaning you haven't played actually SMRPG yourself?! What's with you people? SMRPG and the Paper Mario games are all equally awesome. Anyway, I don't think of the Paper Mario games as sequels to SMRPG. Same goes for the Mario & Luigi games. So, a sequel to SMRPG would be nice, but as for SPM, they probably went a different direction with it to better utilize the Wii's features, and, of course, because they're constantly innovating games. We all know the story about smb2 but I hve a question. As you know characters from Doki Doki Panic,or smb2 (like shy guys, being the coolest masked trouble makers ever. )appeared in a multitude of other mario games. DOn't you think that japanese gamers would have caught the fact that somehow characters from a game not affiliated with mario appeared in these games? And I guess that gets answered in their smas in japan releasing smbusa, but I saw that it would only tick me off even more. So how exactly did that work out for them? Also, I feel mildly angry at Nintendo for saying that just because I'm american that the real super mario 2 was too hard for me. DavidDayton: Perhaps they just don't care about it and enjoy the game for what it is? I mean, has anyone ever complained about this guy being in Super Mario Land 2, Link's Awakening, AND Kirby's Dreamland? MEGAß¥TE: I'm not sure how well-known Doki Doki Panic was in Japan, but in the end, I think it benefited the Mario series greatly, bringing in more diverse characters as staples of the franchise. It's also not the only time this has happened. im in the UK, and i'm guessing that this is a US site. the uk PAL version of super paper mario has a glitch in the second "world" (through the second door above flipside) on the second time you talk to Mimi "the housekeeper". When she's supposed to exclaim about Merlee not being found in the doors, the whole wii freezes, with a rather nasty buzzing sound. NO buttons work, even on the console itself; the only way out is to literally pull the plug. It can be fixed, though, by changing the system language to german for this short time (random i know but it works), using the save point in the room before and after the chat, to avoid losing TOO much dialogue. DavidDayton: I thought I had heard this only happens if you ignore the key, return and talk to her... in theory, most folks wouldn't have this happen to them as the obvious course of action would be followed by most. Am I wrong? Suffix: Nope, that's exactly right. Just get the key, unless you are so enraged as to figure out how to get a replacement. But that might generate even more botheration. Deezer: Odd, the NOE page claims the problem exists in German also.